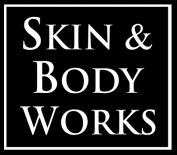 At Skin and Body Works we have a ‘No Double Dipping Policy’ that ensures our Wax Specialists are using a clean wax stick for each application of wax during your service. Multiple disposable wooden applicators are used in the process of our body and facial waxing services to ensure the ultimate level of sanitation. When you walk into a service room you will immediately notice our clean, fresh, and sanitary environment. You can relax knowing that your wax services are being provided with the highest level of sanitary conditions. We line our waxing tables with a fresh layer of paper for each guest, we disinfect our tables after each guest, and we disinfect all metal instruments between guests. Also, people who take some medications such as: Renova, Differin or Accutane are advised to steer clear of hair waxing on the face since these medications tend to weaken the skin and may cause tearing of the skin as the wax is removed. If you have warts, pimples, moles, rashes, sunburn, chapped skin or skin irritation, you should avoid waxing those areas.